Fans of volleyball and mostly women volleyball, have the opportunity to enjoy their favourite sport for two days. 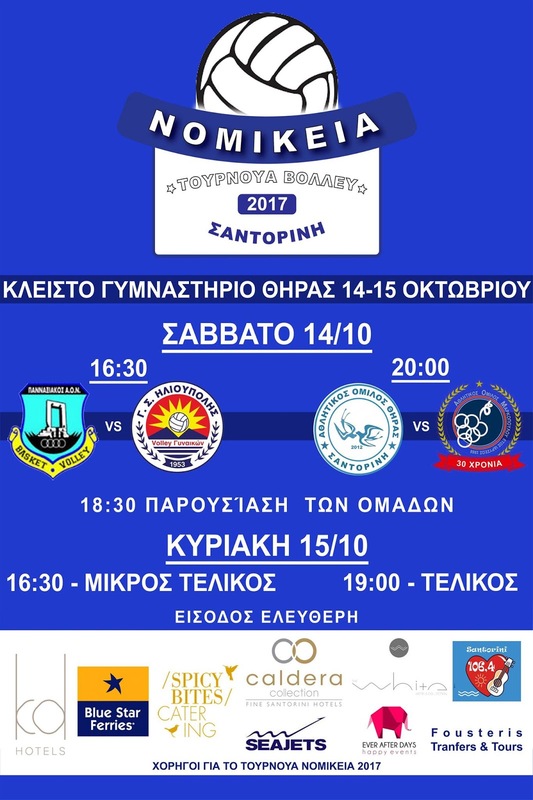 The tournament "Nomikeia 2017" is being held today and tomorrow in Santorini with 4 teams from the A1 league taking part: Ilioupoli, Pannaxiakos, Markopoulo and AO Thiras (the local team). Tomorrow you can watch the final and the game for the 3rd place. At DAPPOS Sports Center, in Karterados. Free entrance.